The Parahaka Reserve map can be printed free from the Whangarei Orienteering website located at www.sportsground.co.nz. Go to “Coaching Resource” on website. The map is also available from the Kensington fitness centre, local i-site and Stirling Sports. Farmland and scattered bush. 40 controls. Maps free and available at the noticeboard at the park. Cabins and camping available. 113 km north of Auckland CBD. In Wellsford, take Port Albert Road and follow the signs to the park. The property lies on the Kaipara Harbour, on the Okahukura (Tapora) Peninsula. Alternative route is through Helensville, up State Highway 16. Steep farmland and scattered bush. 20 controls. Maps free and available at the noticeboard at the park. Camping available. 65 km north of Auckland CBD. State Highway 1 6km past Wenderholm Regional Park, turn right into Mahurangi West Road then right into Ngarewa Drive and follow to the end of the road. Duder Regional Park 30 km, south east from centre of Auckland, just south of Maraetai. Coastal farmland with patches of bush. There are 23 controls in the park, and 3 suggested courses are on the map ranging from 2.5 to 5 km in length. Maps available free at the entrance to park. For large organised groups contact Auckland Regional Council. Refer to http://regionalparks.aucklandcouncil.govt.nz/duder. There are two courses starting from the Regional Park. One is 3km and the other a 4km course. 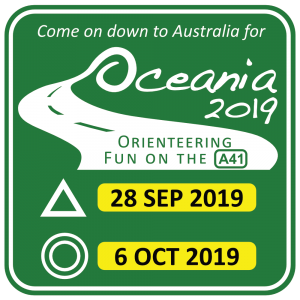 The main purpose of these courses are to cater for the general public and take them around the Park to the special features while giving them a taste of orienteering. The south end of the Park has a camp called Highwire. They cater for school groups and train young people to advance in confidence. Three courses from the Highwire camp have been established – Beginner, Intermediate and Advanced. The advanced is a challenging course. 3 km south east from centre of Hamilton, off Cobham Drive. Urban park with mixed vegetation and water features. Refer to http://hamiltongardens.co.nz/. 1 km south from centre of Hamilton, off Ruakiwi Road Urban park with mixed vegetation and water features. 3km east from centre of Hamilton. Urban park/campus. 3km east of city centre, off Tarawera Rd. Maps cost $2.50. Available at the Redwoods Visitor Centre on Long Mile Road, off Tarawera Road. Refer to http://redwoods.co.nz/. 3 km north east of centre of Taupo. Rolling open park, pine/native trees, plus steep bush-covered slopes to river. Refer to http://www.hukafalls.com/huka-falls-spa-park-walk.php. Note: Temporarily out of service – re-mapping in progress. Multiple options available. ‘Sleeping Giant’ maps include the lower half of Te Mata Park, Havelock North. ‘Te Mata Park’ maps include courses with more difficult navigation and more climb than the courses on the ‘Sleeping Giant’ map. ‘M’ courses start and finish at the Main Gates car park on Te Mata Peak Road. ‘T’ courses start and finish at the park boundary on the track in from the Tauroa Road car park. Control markers include QR Codes for iOrienteering mobile app support. Entry from Rapanui Rd. Head north out of Wanganui on SH3. Just after the 100km sign turn left into Rapanui Rd, opposite the BP service station. The Gardens are approximately 7km from SH1. Refer to http://www.basonbotanicgardens.org.nz/. Maps for the Bason Red Kiwi Orienteering Course are for sale from the Wanganui Information Centre and Westmere Garage or from rk.orienteering.org.nz. Entry from Manawaroa and Park Roads off Fitzherbert Avenue. Maps for sale from Café Esplanade, and the Visitor Information Centre, the Square, Palmerston North. Maps cost $2.00. Map and instructions available on rk.orienteering.org.nz. (Note: This permanent course is not currently maintained and is incomplete. An old 2011 map can be downloaded from www.ohv.org.nz). Turn west into Te Moana Rd at traffic lights in Waikanae on SH1. Turn right into Ngarara Rd, then left into Park Ave.
Brookfield Scout Camp Moores Valley Road, Wainuiomata. Laminated maps available from the warden or download at http://www.mapsport.co.nz/hvoc/hvoc.html. Maps free. Orienteering Hutt Valley has an Any-time Orienteering section on its website www.ohv.org.nz. Maps from past orienteering events can be downloaded and the course can be run at any time. The mini rogaines they hold are ideal for this, as the controls are question and answers, so no controls need to be put out. Four courses of different lengths and difficulty starting from Charles Plimmer Park at the top of Marjoriebank Street (off Courtenay Place in Wellington). 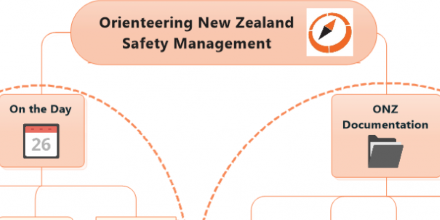 Maps and instructions are available on the Wellington Orienteering Club website (http://wn.orienteering.org.nz). 20 km west from Nelson. Coastal park. Map available for download from the Nelson Orienteering Club Website. 1km east of Nelson town centre along Hardy Street. Hilly city park with bush and open spaces. Navigate around Kaiteriteri and Little Kaiteriteri. Further information available on the Nelson Orienteering Club Website. Parks and streets within the town boundary Map packs from Hokitika Visitor Information Centre (I-site) or Westland District Council. Maps free. 7 km south from centre of Christchurch. Farmland/forest. Maps ($3.50) and full instructions are available at the Christchurch City Council Beckenham Service Centre, 66 Colombo St. (Open normal business hours; phone 03 941 8999). The park offers 4 graded courses. All courses start adjacent to the main car park near the Port Hills Visitor Centre in Victoria Park. Course 4 is the easiest (1.5km), and course 1 the hardest (3.3km). ( Links: Council – Victoria Park; PAPO Permanent Courses). 12km north of centre of Christchurch. Coastal pine forest and park. Maps and instructions are available at the Spencer Park Camp Shop, $3 each. The park offers 4 graded courses (1-4) in increasing difficulty: White 1.1km, Yellow 2.0km, Orange 3.3km and Red 4.0km. (Links: Council – Spencer Park, PAPO Permanent Courses). The park entrance is on Groynes Drive, off Johns Road (State Highway 1). Two courses available for download or purchased at the Rosebank cafe (near the entrance to the Groynes Park) for $4 each. White – 1.9 km, easiest navigation; Yellow – 2.6 km, slightly harder navigation. (Links Council – The Groynes, PAPO Permanent Courses, school groups and corporate training Horizons Unlimited ph: 03 384-0384). Lake Tekapo Regional Park, just east of the Tekapo township on the lake shore. Access is via Lilybank Rd. The maps are available for download from PAPO website or some hard copies are available at the following locations: Tekapo Information Centre (inside the Godley Hotel); Kiwi Treasures (next to the Four Square); Tekapo Camping Ground. ( Links: Council – Lake Tekapo Regional Park; PAPO Permanent Courses). 4km north from centre of Dunedin, between the suburbs of Maori Hill and Glenleith. A forested reserve around a reservoir. The map can be downloaded from Dunedin Orienteering website. Printed maps available for a nominal fee from the Dunedin i-Site, Princes Street, or the DoC Visitor Centre, lower Stuart Street. 4km north from centre of Dunedin, up North East Valley. Produced on an MTBO map, four options are available to suit mountain bikers or walkers/runners, in course or rogaine-style. The maps can be downloaded from Dunedin Orienteering website. Waterproof printed maps available for $5 from the Naseby dairy and/or Info Centre. Just north of the Invercargill city centre, bounded by Queens Drive and Kelvin, Gala and Herbert Streets. Maps available from the i-Site office at the Museum, located in the park, or can be downloaded from the Southland Orienteering Club website at www.sportsground.co.nz/soc under Maps section. Refer to http://www.icc.govt.nz/ServicesA-Z/ParksAndReserves/QueensPark.aspx.